Also known as unicompartmental knee replacement, unicondylar knee replacement is a less invasive alternative to a total knee replacement. This procedure is designed to replace only the portions of the knee most damaged by arthritis, leaving the healthier portions intact and letting patients benefit from less scarring, shorter recovery times and a fuller range of motion. This procedure is commonly performed on younger, more active patients who do not wish to undergo a total knee replacement yet, or for patients whose arthritis is localized in one specific area of the knee. Unicondylar knee replacement can be successfully performed using the Oxford® Partial Knee implant, the only fully mobile bearing partial knee system currently available. During a unicondylar knee replacement, your doctor will make a small incision in the front of the knee or wherever the damaged area is. Small pieces of bone are then removed from the damaged area of the femur and tibia, and are then replaced with the Oxford implant. 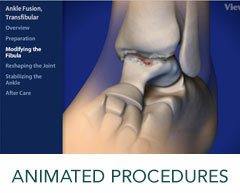 The metal pieces are separated by a plastic insert that allows for smooth, fluid motion of the joint after surgery. Depending on where the damage is, the inner or outer parts of the knee can remain untouched during this procedure, resulting in less bone loss and a greater range of motion. After a unicondylar knee replacement, many patients fully recover within a month and are still able to partake in low impact sports and other activities. To learn more about our Oxford Unicondylar Knee Replacement Services, please contact us today to schedule an appointment!